Want to learn what it takes to achieve net-zero? 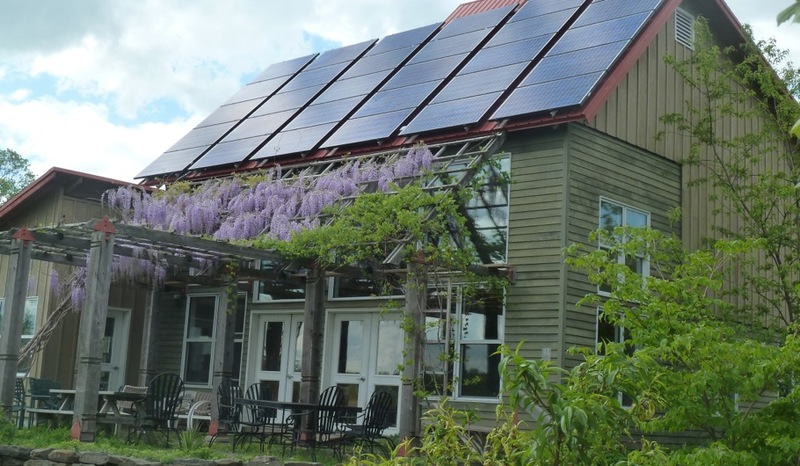 Back by popular demand, this two-day training at EcoVillage Ithaca on September 28th and 29th will focus on design and construction details to achieve net-zero energy use in new buildings – both residential and commercial. Co-sponsored by the US Green Building Council NY Upstate Chapter, Taitem Engineering and Learn@EcoVillage, the training is especially for architects, engineers, builders, building owners, and community developers. The American Institute of Architects will offer 14 Learning Units for those who complete the training. Some scholarships are available for students, women, and under-represented groups. Join Ian Shapiro, founder of Taitem Engineering and co-author of the book Green Building Illustrated (Wiley, 2014) and Liz Walker, co-founder of EcoVillage Ithaca and Executive Director of its educational arm, Learn@EcoVillage, as they address fundamentals and strategies for zero energy design, and showcase net-zero buildings at EcoVillage.